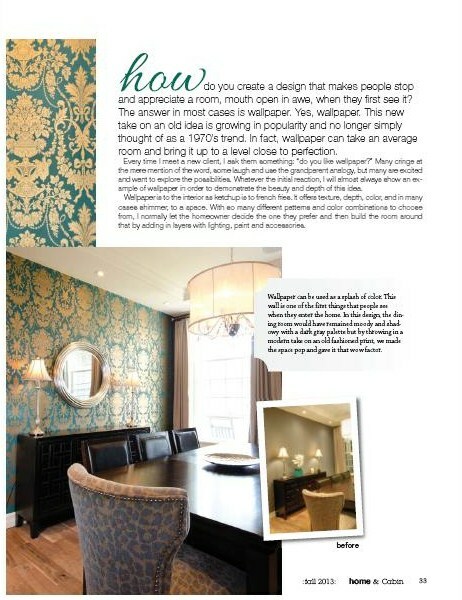 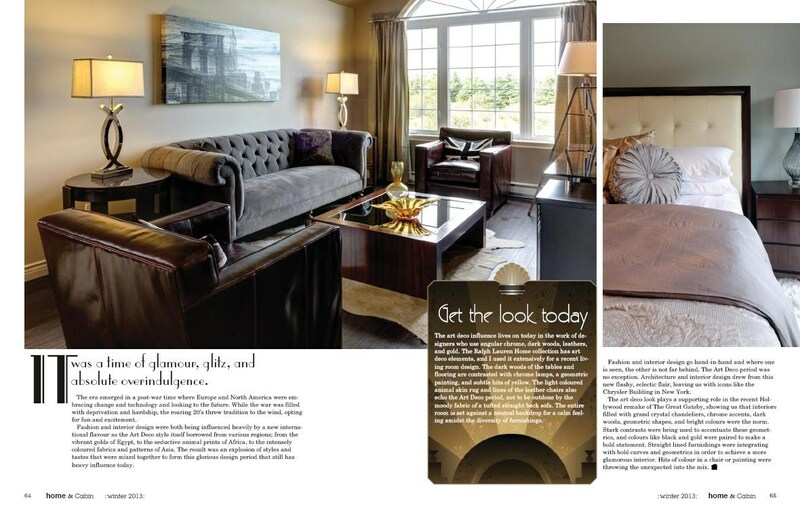 Your Space Our Design was featured in the Winter 2014 issue of East Coast Living Magazine where a tired 1980’s two story home was completely transformed. 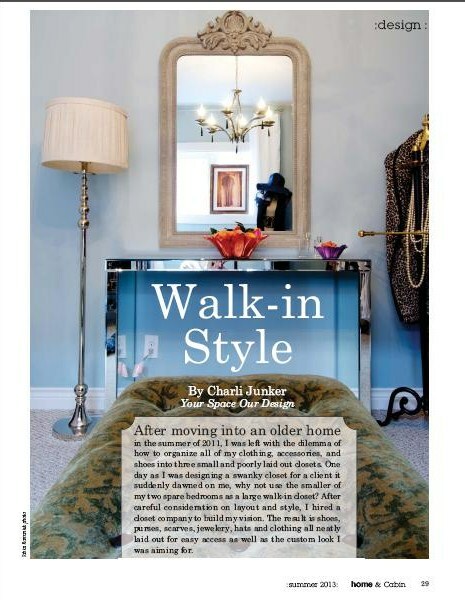 Charli has been writing for Home and Cabin Magazine since June 2013. 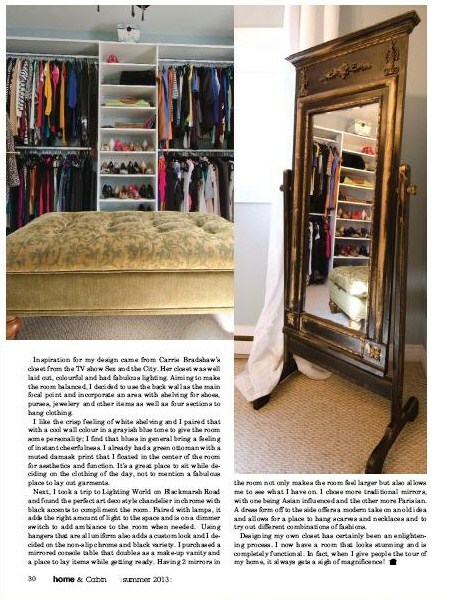 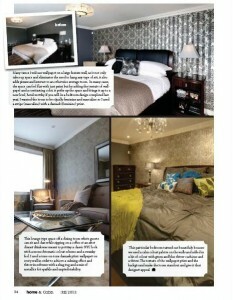 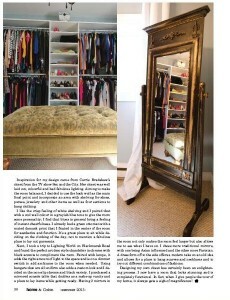 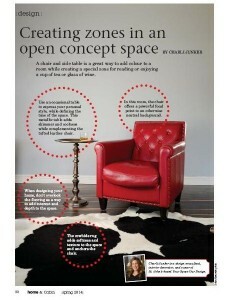 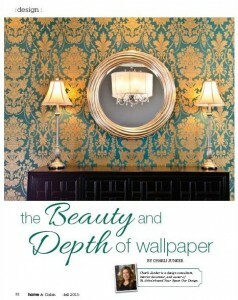 She has a featured column in the quarterly publication and brings readers fresh insight into the world of interiors. 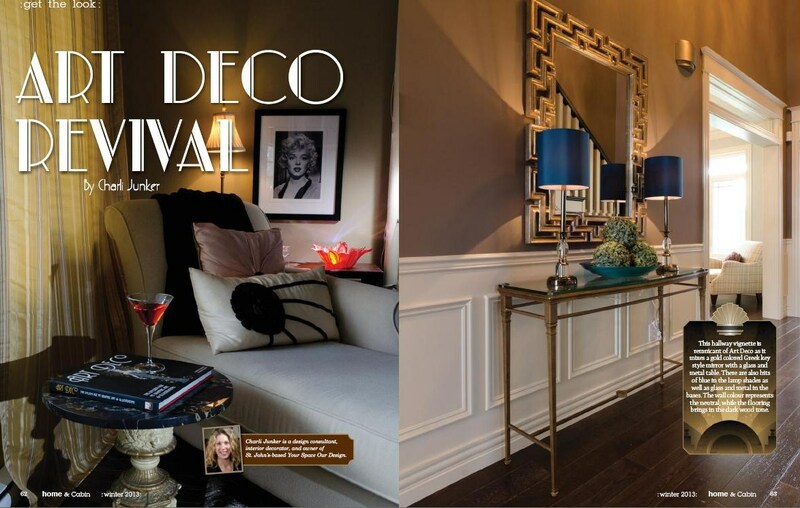 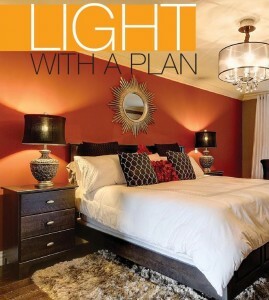 She has written about lighting, the Art Deco design period, a swanky walk-in closet, the resurgence of wallpaper and how to create zones in open concept spaces.